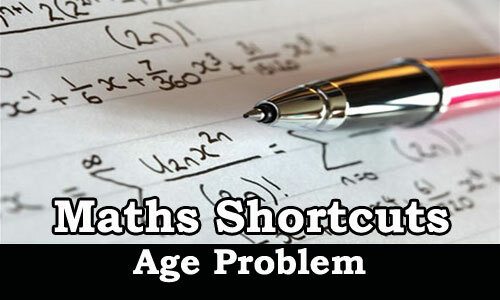 Maths Shortcut methods and tricks for Age Related Problems was given below. Candidates those who are preparing for competitive exams in future may use this shortcuts trick to save time for other questions. Question 1. 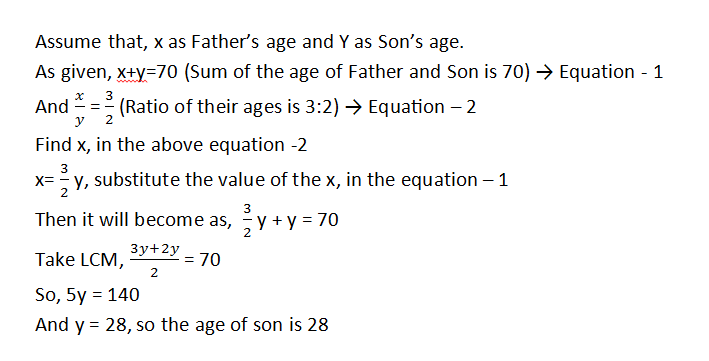 If Sum of the ages of Father and Son is 70 years and ratio of their ages is 3:2. What is the age of the Son? Classification : If you use the above method, it will take minimum 35 to 40 seconds to get answer. And by using the below shortcuts we can get answer within 5 seconds.